Although vacationers often venture to Deep Creek Lake, Maryland for relaxing and rustic getaways, this area of Garrett County is not so remote that meals are restricted to campfire grub alone. 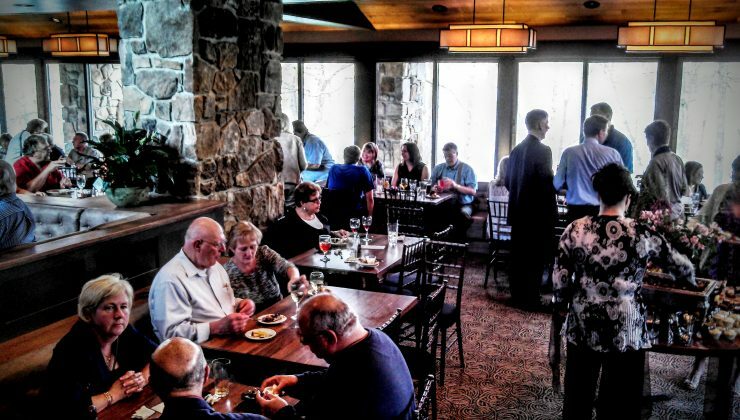 In fact, Deep Creek Lake is becoming known for a cluster of distinctive and popular restaurants that appeal to everyone from gourmet “foodies” to families seeking wholesome, nutritious fare. Dutch’s at Silver Tree in Oakland, Maryland is a recently remodeled restaurant that combines elegant white tablecloth dining with classic Appalachian mountain flair: stone floors and fireplaces, rough hewn log beams and leather seats, all located mere steps away from the lake. Dutch’s at Silver Tree offers a lunch, dinner, Sunday brunch and banquet menu plus operates the nearby Harbor Bar where you can sip your liquid libations waterside. 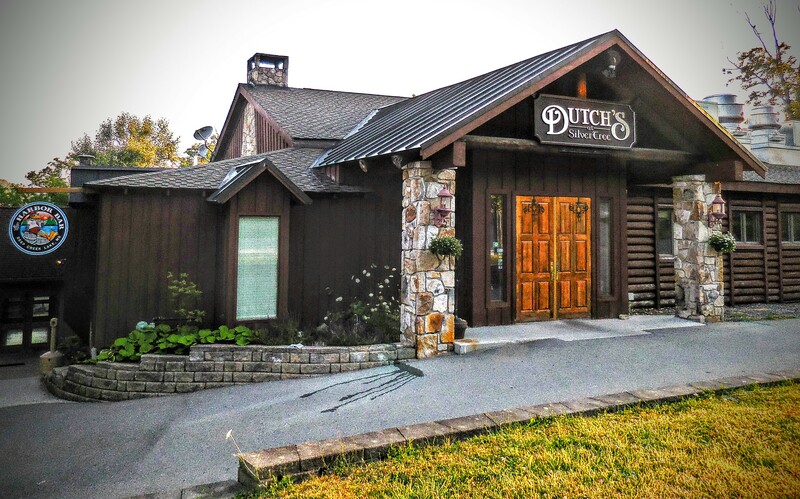 Dutch’s is hailed for its seafood and steaks, sumptuous buffets, hearty soups and generous sandwiches. For out-of-state visitors who want to sample Maryland crab, Dutch’s offers everything from Crab Imperial to Cream of Crab Soup. 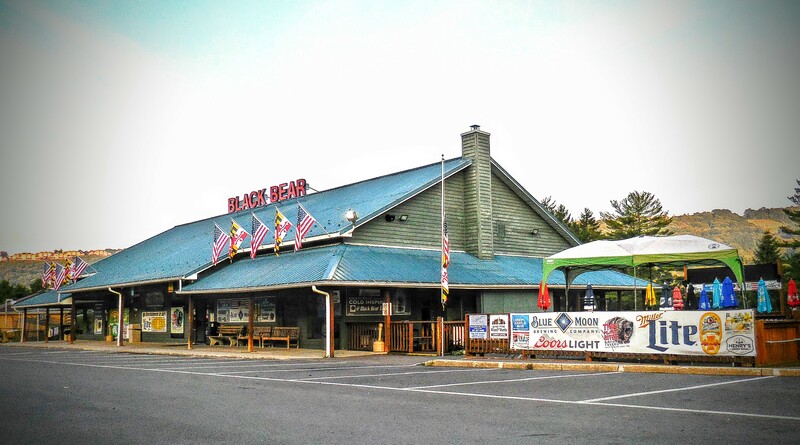 If you’re interested in something more casual and energetic, consider the Black Bear Tavern in McHenry. 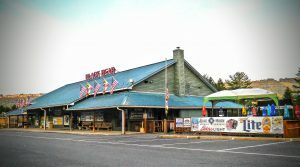 This fun sports bar features a nightclub and live entertainment throughout the peak season and is open 7 days per week; children are welcome and even have their own Bear Cubs Grub menu. The tavern offers burgers, sandwiches and wraps, baby back ribs, macaroni and cheese and other filling favorites. For dessert lovers, check out their decadent Brownie and Bananas Foster bites–fried and crispy on the outside, warm and smooth on the inside, covered with chocolate or caramel plus ice cream. Also in McHenry, the Mountain State Brewing Company is a casual yet highly rated restaurant that serves local and regional craft beers, including its own non-alcoholic root beer, with tasty wood fired flatbread pizzas. If you are in the mood for something spicy, the Santa Fe Grill in McHenry is your source for Tex-Mex favorites. Their bar and cantina was voted the “Best Happy Hour” by Maryland Life Magazine in 2012. 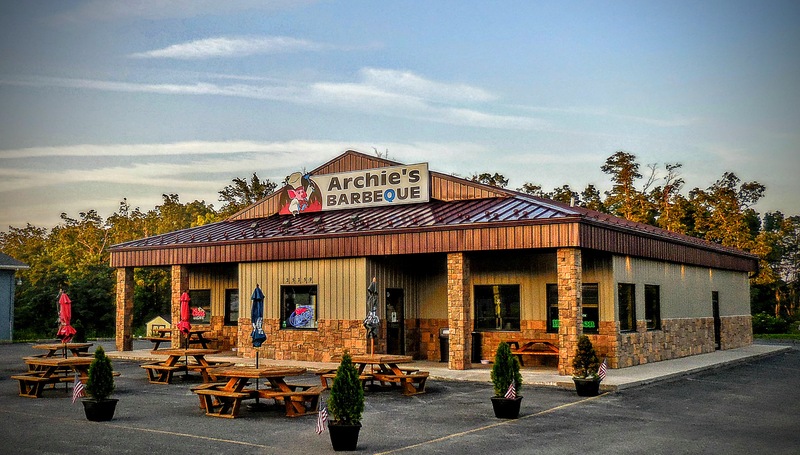 Another highly-rated restaurant in the Deep Creek Lake area is Archie’s Barbeque of McHenry. 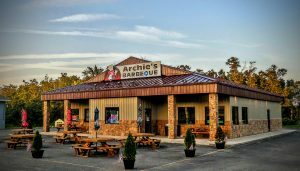 Archie’s “two hand sandwiches” are locally famous, and Archie’s notes it offers “generous portions, reasonably priced” to diners all year round, not just during peak season. The menu features ribs, wings, wraps, salads, smoked meats available in bulk and homemade side dishes, including classics like cole slaw, potato salad and baked beans. You can even purchase a bottle of Archie’s signature barbecue sauce to take home with you as a souvenir of your vacation.